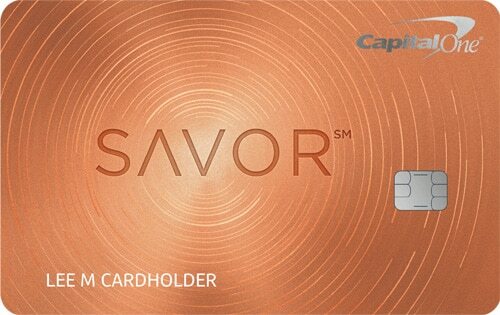 Savor® Rewards from Capital One® is a cash back credit card designed for people who like to eat. That’s pretty much everyone, right? The headline here is unlimited 4% cash back on dining and entertainment purchases. That makes this one of the best credit cards for those seeking to save money eating out at restaurants. Grocery store purchases also earn cash back at an elevated rate: 2% unlimited. A juicy early spend bonus further sweetens the pot. The biggest drawback is undoubtedly the $95 annual fee, imposed after the first year. If you’re looking for a no-frills, no-hassle cash back credit card that helps you save on everyday purchases, this product needs to be on your shortlist. Keep reading for a roundup of its features, advantages, disadvantages, and overall suitability. Compare this card to other dining rewards credit cards. When you spend at least $3,000 in eligible purchases within the first 3 months your account is open, you get a one-time cash bonus of $500. Eligible dining and entertainment purchases made at restaurants earn unlimited 4% cash back. Eligible grocery purchases made at supermarkets and other types of stores with the proper merchant classification earn unlimited 2% cash back. All other purchases earn unlimited 1% cash back. Once earned, cash back rewards never expire. You can redeem your accumulated cash back rewards in any amount as a statement credit or check – your choice. You can also set up recurring redemptions at a set time of year or when you reach a certain dollar threshold: $25, $50, $100, or $200. Other redemption options include credits against specific previous purchases and gift cards, but redemption values are subject to change at any time. Complimentary Rental Car Insurance: You’re automatically entitled to complimentary loss and damage coverage for car rentals paid in full with your card when you waive the rental company’s offer of coverage. Concierge Service: This perk helps you get hard-to-get reservations, find entertainment and dining opportunities in unfamiliar places, and arrange complex travel or transportation transfers in the U.S. and abroad. Travel Accident and Baggage Delay Insurance: This modified form of travel insurance provides coverage in the event that you’re seriously injured or killed during common carrier travel, and when your bags are delayed to your destination for certain covered reasons. Price Protection: This benefit provides reimbursement when you find a lower marked price on a covered item paid for in full with your card within 120 days of the original purchase date. The per-claim limit is $250 and you’re limited to four claims in any twelve-month period. Trip Cancellation and Interruption Insurance: This is another travel insurance perk that reimburses you in the event that your trip needs to be canceled or cut short for certain covered reasons. 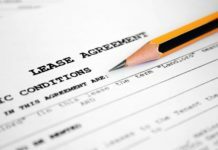 See your explanation of benefits for exclusions and limitations. Premier Culinary Experiences: Get exclusive access to curated culinary experiences headlined by celebrity chefs. Exclusive Music Event Access: Score exclusive or VIP tickets to big-name musical events, including music festivals and shows headlined by A-listers. Sporting Event Access: Earn VIP or exclusive access and on-site perks at some of the year’s biggest sporting events. The annual fee is $95 after the first year. There is no foreign transaction fee. Cash advances cost at least the greater of $10 or 3%, whichever is greater. Balance transfers cost 3% of the transferred amount. Late payments cost up to $35. $500 Early Spend Bonus. This card’s $500 early spend bonus is one of the best in the cash back category. You’ll qualify if you can spend at least $3,000 in eligible purchases within 3 months, which should be doable if you use this as your primary spending aid during that period. Up to 4% Cash Back. This card earns unlimited 4% cash back on dining purchases made at restaurants and most entertainment purchases. If you like to hit the town every once in a while, this is a fantastic tier. Broad 2% Category. Don’t overlook this card’s 2% category. Every dollar you spend at the grocery store earns 2% cash back, with no limits or restrictions. If you prefer cooking at home to dining out, Savor has you covered. No Foreign Transaction Fee. Savor doesn’t charge a foreign transaction fee. For cardholders who regularly venture outside the United States, this is a great way to save on international travel. Redeem Cash Back in Any Amount. You don’t have to wait to clear a cash back threshold to redeem your hard-won rewards. No matter how much or how little you have in your rewards account, you can pull the trigger and claim your cash whenever it suits you. Solid Mastercard- and Capital One-Backed Benefits. This card’s World Elite Mastercard benefits are great for frequent travelers and shoppers – basically, anyone who occasionally makes large purchases at home or on the road. The Capital One benefits, such as VIP or exclusive musical event access, are quite generous as well. No Penalty APR. This card has no penalty APR. That’s good news for cardholders who sometimes miss payment due dates through no fault of their own. Has a $95 Annual Fee. This card’s $95 annual fee is problematic for frugal consumers and those unable to spend heavily enough to offset the recurring charge. Mediocre Baseline Cash Back Rate. Savor’s baseline cash back rate is 1%. That’s a mediocre return on spending by any measure. If you’re looking for a higher rate on a wider range of spending types, check out Savor’s stablemate, Capital One Quicksilver Cash Rewards. It earns an unlimited 1.5% on all spending, with no limits on how much you can earn. Cash Back Tiers Limited to Food-Related Purchases. Everyone needs to eat, but can you really build a credit card rewards scheme around the practice? If you’re looking for a broader-based rewards program, look to a competitor like Chase Freedom Unlimited (1.5x points on all spend) or a travel rewards credit card, such as Chase Sapphire Preferred (2x points on travel and restaurants). No Introductory APR Promotion for Purchases and Balance Transfers. This card does not have a 0% APR introductory promotion for purchases or balance transfers. Contrast that omission with the long 0% APR promotion offered by Capital One Quicksilver. Requires Good to Excellent Credit. This card requires good to excellent credit. If you have any noteworthy blemishes on your credit report, your application might be denied. Check your credit score for a better sense of what to expect. Can’t Redeem for Merchandise or Travel. You can’t redeem your accumulated cash back rewards for general merchandise or travel purchases (other than statement credits against specific travel purchases). This is a drawback relative to Barclaycard Arrival Plus, which exists specifically to reward travel spending. The Capital One® Savor Cash Rewards Credit Card is one of a relative handful of credit cards that actively rewards dining out and eating in. It’s one thing home cooks and restaurant aficionados can agree on. It’s not for everyone though. If you’re a fill-the-tank kind of eater, you might not spend enough on food to make this card worth your while. An airline or hotel rewards credit card could be a better fit. Only you can tell for sure what type of rewards scheme makes the most sense for you. Capital One® Savor Cash Rewards Credit Card is a straightforward cash back credit card that earns an excellent rate of return on dining and entertainment purchases and a solid rate of return on grocery store purchases. As long as you can offset the $95 annual fee after the first year, there’s little downside to keeping it in your wallet, though there are better options for consumers seeking higher rates of return on a broader range of spending. The strict underwriting requirements close the door for consumers with less-than-perfect credit as well. Key benefits include a great early spend bonus, no foreign transaction fee, nice 4% and 2% cash back categories, no penalty APR, solid Mastercard- and Capital One-backed benefits, and no minimum cash back amount required to redeem. Drawbacks include mediocre baseline cash back rate (1%), no 0% APR introductory fee, strict underwriting requirements, favored rewards tiers mostly limited to food-related categories, and limited redemption options. Overall, this is a great option for consumers who like to go out or buy groceries regularly – which is almost everyone.